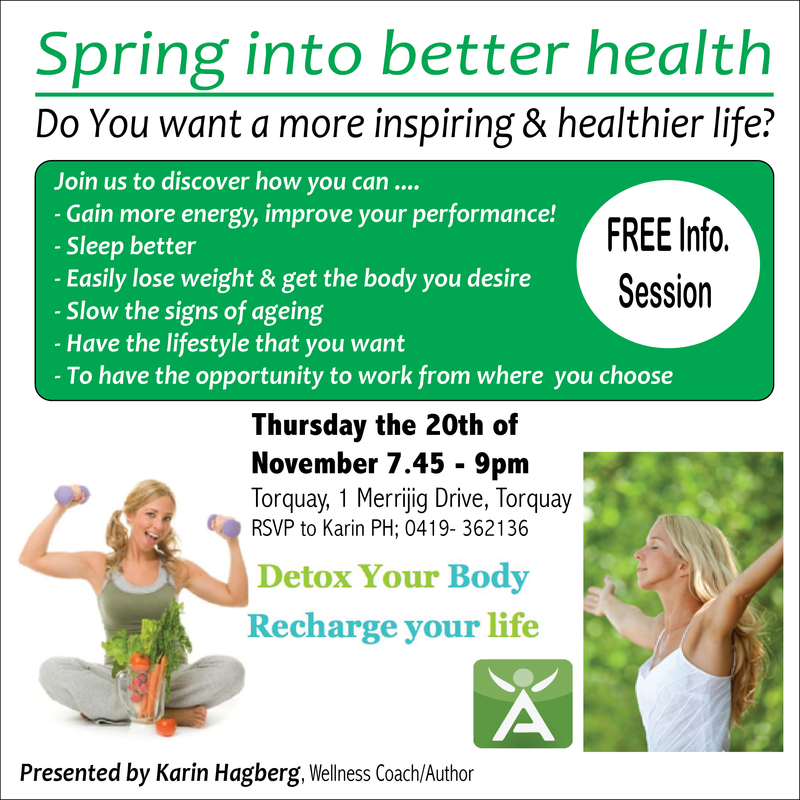 On Thursday the 20th of November at 7.40pm to approximately 9pm we are holding a FREE information session at the Grant Pavilion in Torquay (1 Merrijig Drive) – Spring into better health! Would you like to improve your health & wellbeing? Perhaps lose some weight? Gain more energy or improve your sports performance? Perhaps slow the signs of ageing? Sleep better or simply feel more energized and full of vitality? Do you want to have more energy and improve your performance?